on our extreme "HERS36" home. We volunteer on this "Extreme"
We commit to treating you professionally and with dignity. We will educate you, return your calls, and endeavor to keep our word always. As you'll find on our website, there is no "mushroom management" here: keeping you in the dark and feeding you manure is anathema to total satisfaction and successful project outcomes. You can build your budget around full-service Turnkey Finishing or ModularDirect™ pricing for DIY'ers, contractors, and developers. We have thoroughly vetted resources, but you can also choose your own lender or engineer. It's about choices and transparency, disclosure and fairness. It's the Truth in Truth In Building. Using the latest modular ("systems building" or "prefab") technology, our clients move into high quality projects in 1/3 - 1/2 the time of conventional building. We offer a 10yr structural warranty as standard. And as a modular builder, Finish Werks stands nearly alone in providing in-house, fully customized designs. 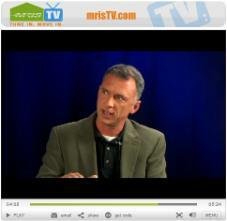 Want to pay "net zero" electric bills? Let us know. The pace of change in construction is constant - if we haven't built it and you want it in Maryland, let's design/build it together. 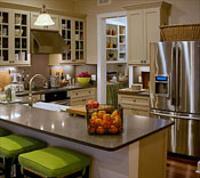 Finish Werks is proud to offer new homes that have earned the ENERGY STAR® label. The ENERGY STAR label means that your new home has been designed and built to standards well above other homes in the market today. It means better quality, better comfort, and better durability. It also means that your new home is a better value for today, and a better investment for tomorrow. The ENERGY STAR label gives you the peace of mind that your home has undergone a better process for inspections, testing, and verification to ensure that it meets strict requirements set by the U.S. Environmental Protection Agency (EPA). Thank you both so very much. 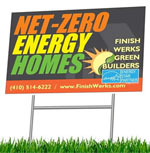 I trust you guys implicitly after researching about Finish Werks and the net zero homes you build. I am following up on your leads and I am quite grateful to be able to work with informed professionals! Subject: Re: consultation – remodel or raze & rebuild? I can't thank you enough for taking the time to come to Chestertown and talk with John and me about the "possibilities" of my father's property. You've given us much to think about and look into....and we were still reviewing floor plans at 2am! You were friendly, knowledgeable, helpful and honest. We'd love to do business with you and will be in touch when we sort things out. Hope your drive home was uneventful! Don’t know where to look next? Here are the pages we recommend. Q: When we say “modular homes,” we’re not talking about manufactured HUD mobile homes. On the other hand, they’re not your traditional, stick-built home either. So what is a modular home? A: Built in a computer controlled environment and transported to the site nearly complete, modular homes are more energy efficient and much stronger than traditional homes. With computer modeling and increased demand for green building, high performance custom homes are going modular like never before. Find out more about modular homes on our Modular Homes vs. Traditional Construction FAQs page. So you want to build your "dream home." What next? Take a look at our Floor Plans page to find out how Finish Werks will help make your dream come true. As a truly custom builder, Finish Werks will help you piece together all your design options to create custom home plans for the home that you want and that we can build. It all starts with the floor plans. Overall, modular homes cost less than their stick-built counterparts, while offering better quality, much faster build-time, and more energy efficiency. However, the price of a modular home, just like that of stick-built homes, depends on site-related and project specific costs. If you are looking for some basic estimates for building modular, check out our Modular Home Prices & Financing page where you’ll find estimates for various costs per square footage, from $115/SF for a fully customized, turnkey, high quality modular home..
With Finish Werks, you can go green AND save green. As a custom green builder, we build energy star qualified homes and offer additional GreenWerks packages to make your home healthier for you and the environment. If you are looking for a green home, we can provide you with a high performance home well worth your investment. On our Green Home Building and Green Modular Homes page, you’ll find more about high performance green building for homes.